Since the 1960s anthropologists have been studying the unique cargo cults of Melanesia. This research offers a fascinating look into the mindset of cults. Traumatised by the impact of missionaries on their culture and society, the response of the South Sea Islanders of Vanuatu was to believe in an apparition called John Frum, claimed to be a white American. This belief was reinforced during World War Two when the US military brought cargo containing arms, food and medicine with them to Vanuatu. After the war the islanders built symbolic landing strips as a way to entice the Americans back to the island with their cargo. When Prince Philip visited Vanuatu in 1974 an islander was convinced that he was an ancestor returned and the true messiah, and the prince become a cargo cult god. Cargo cults are messianic movements of hope amidst social and economic upheaval and difficulties. Meaning and attachment are placed on to real or imaginary figures, propelling them to a status of unquestioning worship. Misery, pain and suffering, all so much part of the human condition, will cease once the messiah arrives. The parallels between cargo cults and the Labour Party under Jeremy Corbyn are obvious. It is arguable that Jews who still support Labour are mimicking the behaviour of the cargo cultists. Humans create belief systems and seek out ideologies and people which mirror and cement these, whether they live in the South Seas or Western Europe. Politicians can become symbols of hope. The starting point is often a sense of injustice leading to an attraction to an ideology – such as socialism – which claims to remedy societal ills. Although it always proves destructive in practice, ardent followers will still cleave to it while clueless politicians such as Corbyn are elevated to almost god-like status. This magical thinking is epitomised by Jewish socialists still clinging to Corbyn’s Labour, believing they should fight for the party to which they have pledged allegiance all their lives. But Labour today is not the same party their parents and grandparents supported. In his recent appearance on Newsnight a rather shaken Lord Levy read out a vile anti-Semitic email he had received because he dared to criticise Corbyn. Levy expressed surprise that Corbyn had not yet dealt with this – which shows that he is struggling to reconcile his long-term support for a party with its current propagation of hatred for Jews. I am sure he grasps that Corbyn is at best oblivious to anti-Semitism and at worst an anti-Semite. Yet he carries on supporting Labour. No matter how much Jewish Labour Party members rationalise this, their mistaken loyalty comes across as cognitively dissonant. To explain this phenomenon it’s useful to look at the history of Jews and Labour. Most Jewish immigrants from the Pale of Settlement were very poor. Jews fleeing pogroms in Eastern Europe had been been living under extreme hardship. The combination of grinding poverty in their new homeland and memories of persecution ignited the flame of social justice. Witnessing how rampant capitalism caused dire poverty, many poor Jewish immigrants were drawn to Labour’s socialist ideals. This attraction was underpinned by two Jewish concepts, tikkim alom, literally translated as ‘repairing the world’ through kind acts and social action, and the religious obligation written in Deuteronomy: ‘Justice, justice you shall pursue’. Both concepts are valued and practised by myriad Jews, religious and secular. Levy, born to modest immigrant parents, became a third-generation Labour supporter and a voracious fundraiser for the party. Politics is tribal. And so is allegiance to political parties, particularly from the Left. It’s no coincidence that Labour MP Luciana Berger is the grand-niece of Manny Shinwell. A son of poor Jewish immigrants, Shinwell grew up in slums and went hungry as a child. The poverty of his childhood and the Jewish aspiration to seek justice and repair the world drew him to Labour. Shinwell began his political career as a trade unionist and served as an MP in three Labour governments. Levy and Shinwell epitomise well-meaning Jewish Labour members, spurred on by the inequality they witnessed as children, who joined the party because they believed its socialist ethos was a remedy for curing poverty and injustice. But they were mistaken. Societies have myths which stick regardless of how untrue they prove to be. ‘Tories are evil’, ‘socialism means equality’, ‘protests about immigration are racist’, ‘all Jews are rich’. Many Jews believed that Right-wing and conservative political parties were fascist, racist and wrong and that Left-wing and liberal ones were noble, virtuous and good. Some still cling stubbornly to the myth that Labour represents the working class and social justice, despite it now being a party which ignores the oppressed and afflicted in favour of pandering to racists, post-liberal Puritans and Islamists. Jewish Labour supporters should have opened their eyes years ago. In the 1960s the Left’s support for Israel rapidly diminished. In 1964 the USSR initiated an unholy pact with Yasser Arafat and began a relentless campaign of propaganda to delegitimise Israel. They created the lie that ‘Zionism is racism’ and after the Six Day War in 1967 this campaign accelerated. The Islamist PLO and the USSR had in common a vicious anti-Semitism and animosity towards the West and America. Egged on by Western useful idiots, it did not take long for this relentless campaign of hatred against the Jewish state to take hold. And those on the Left, including Jews who should have known better, fell for this propaganda. The prevailing connection between Labour and Islamic fundamentalism correlates with the pact between the socialist KGB and the Islamist PLO to destroy the Jewish state. Without Israel Jews would be vulnerable again. Israel is imperative to their survival. Half the world’s Jewry live there and those in the diaspora know that if anti-Semitism continues to escalate it is their safe haven. Justice is fundamental to Judaism. The mistake of many honourable and well-meaning people is to link justice to socialism and therefore to Labour. 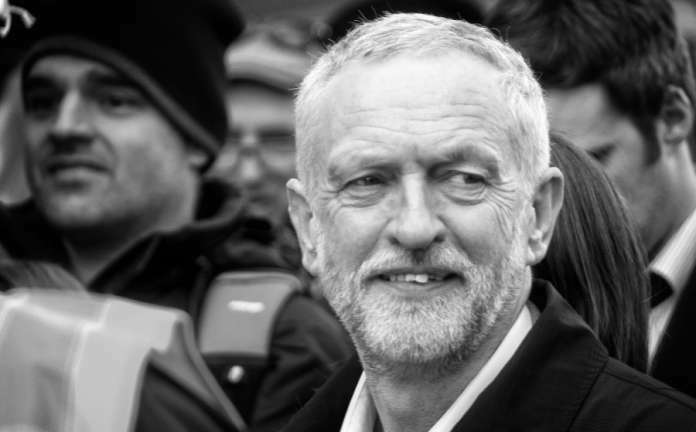 This is a myth, and no more so under Corbyn – a cult that despises Jews and Israel. By refusing to end this magical thinking and messianic attachment they are legitimising anti-Semitism. Utopia is not to be found there. Karen is an anthropologist and freelance journalist. She writes on anti-Semitism, Israel and spirituality.